Okay so get this, Facebook may be reading your text messages from your mobile devices. Looks like everytime I update their app, I am allowing more ways for Facebook to spy on me! It was revealed that Facebook can access a user’s text messages but Facebook today was quick to defend itself saying it does not read any content within a text message. The whole story was revealed by Sunday Times newspaper which said that Facebook had admitted to scanning and reading text messages as part of an ongoing trial for a Facebook-branded messaging service. So the paper basically said that Facebook has access to reading and writing text messages as part of its Android application: That’s a permission that users accept when they go to install the app. But that’s a lot different than Facebook actually using these capabilities in a manner that consumers would likely not enjoy. Facebook representatives said that the company’s Android app does not reading of user text messages. Facebook had been previously accused of copying users’ address books to its servers to enable the app’s social features. This was done with out user’s knowledge and had caused quite a frenzy. Internal sources tell us that Facebook wants to work on its advertising content and be able to present to you not just really targeted ads but also help you meet and connect with people who you would be interested in. Now does that mean that Facebook may go into official dating business as well? How does “You may be interested in her” flag sound? 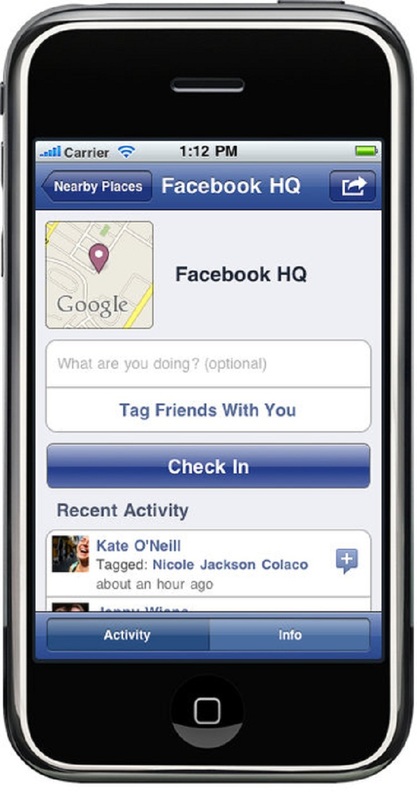 Actually some analysts agree that this may be the feature that will hit Facebook in 2012. Previous Google To Sell Heads Up Display Glasses by Year End! Next CHINA BEATS USA IN SMARTPHONE MARKET!